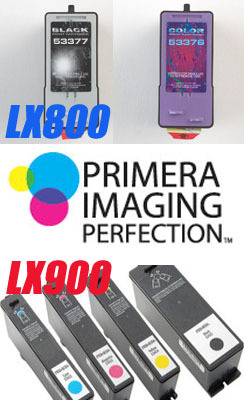 LX400 Color Label Printers include one dye-based color ink cartridge, NiceLabel(tm) SE Primera Edition design software, printer drivers for Windows Â® 2000/XP and Mac Â® OS X 10.2 or higher, starter roll of 4" x 3" Tuff-Coat(tm) High-Gloss Inkjet Label Stock, USB 2.0 cable and instructions. Requires an available USB 2.0 port. There's no need to settle for low-resolution color labels on your products. LX400's incredible 4800 dpi printing delivers results that far exceed virtually any other on-demand print method available. Four built-in print resolutions let you select the combination of print quality and speed that fits your application best. 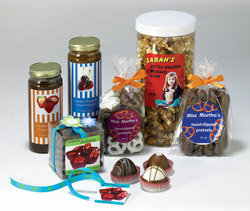 No matter which you choose, your labels are bright, colorful and professional. NiceLabel(tm) SE Design Software is included for your basic label design needs. You can also use most other graphics applications, such as PhotoshopÂ® and IllustratorÂ®, giving you flexibility and creativity in your designs! 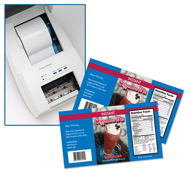 The LX400 produces gorgeous, professional-quality labels for all your short-run, specialty products. 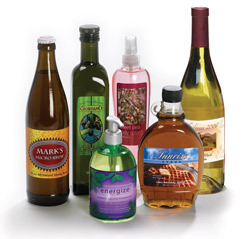 It's ideal for industries such as gourmet foods, wine and water bottles, personal care and natural products. It is also perfect for a host of other uses such as proofing before going to press on longer runs. Test marketing. Contract manufacturing. Private label goods. Promotional labels. Full-color box-end labels with all the required bar codes. And much more! 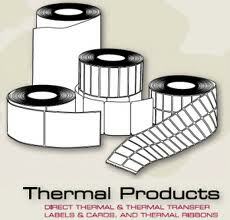 Label print width can be as narrow as 0.75 inches and as wide as 4 inches. Maximum label length is 24 inches. Request Custom Labels. From initial set-up to full operation, the LX400 is easy to use. 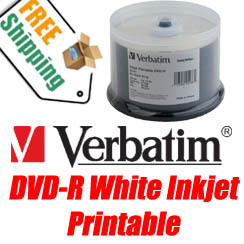 Plus, everything you need to start printing labels is included in the box. Each LX400 ships with NiceLabel(tm) SE design software, sample roll of high-gloss labels, ink cartridge and USB cable. You'll be printing full-color labels within minutes of taking the printer out of the box. The LX810 Color Label Printer offers all of the same great features of our LX400 but prints larger labels up to a maximum width of 8.25".